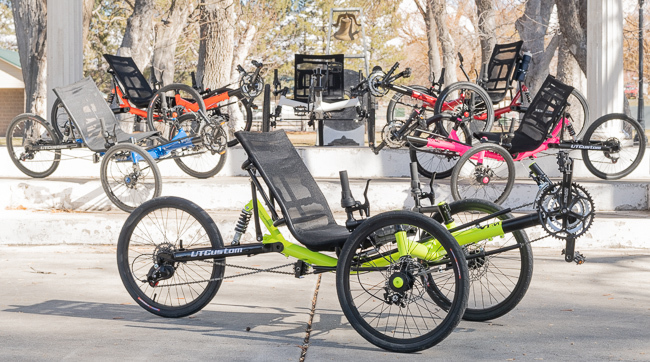 Looking for a trike that is fast, fun, and smooth to ride? The CXS Sport FS features suspension front and rear and a wide gear range. 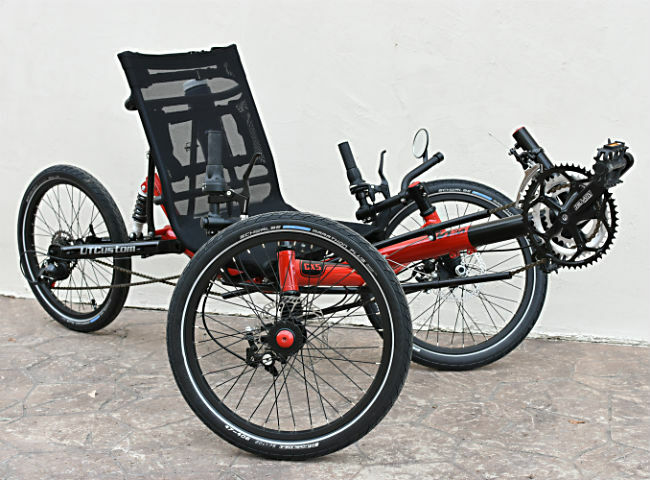 This trike will fit a wide range of riders with its adjustable seat, boom and handlebars. 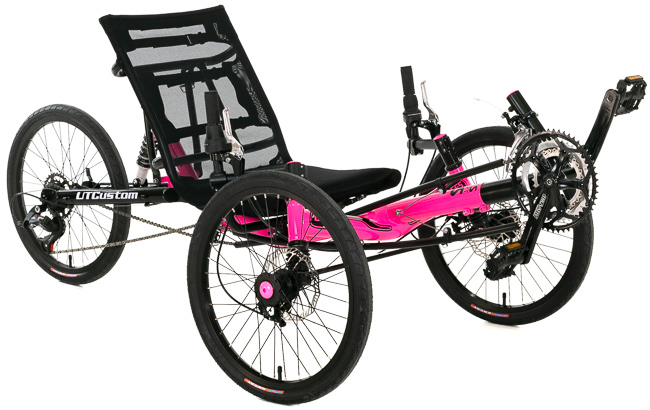 The CXS Sport is not your average recumbent bicycle - come try one out today! 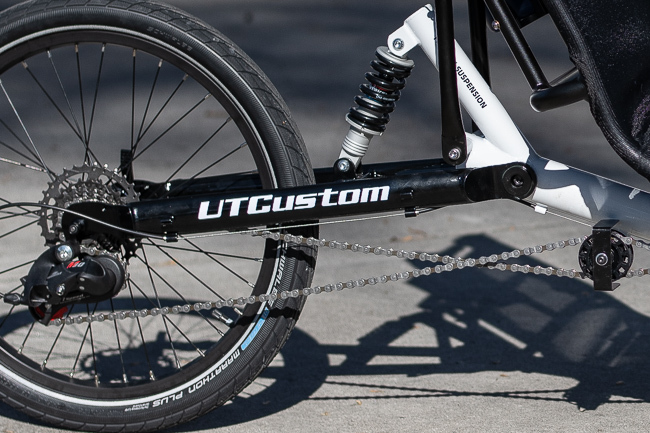 The rear swingarm can be configured with your choice of DMN coil over shock or RockShox air shock. Either way, you'll find the CXS Sport lets you hit the bumpier roads and makes them less jarring. The steering spindles on the CXS Sport provide 1.25in of suspension minimizing road vibration and lessening the impact of the occasional pothole. 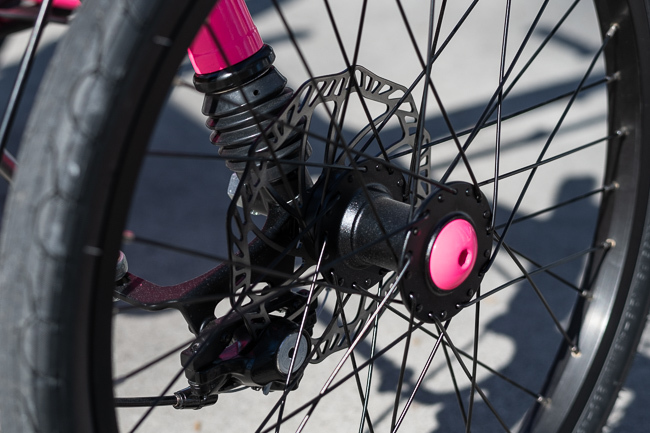 Dual 160mm disc brakes provide smooth stopping power to the front wheels. It comes standard with a Truvativ triple crankset, but the choice is yours as far as gearing goes. 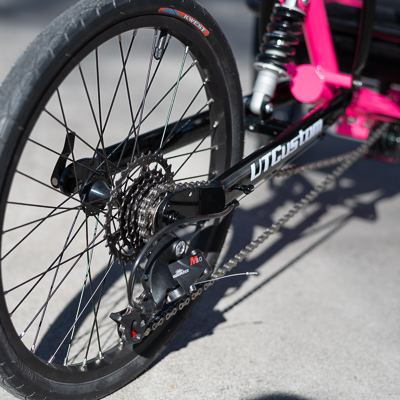 We have more gearing options than anyone else, just check out the configurator above. If you want a motor, we can do that too! 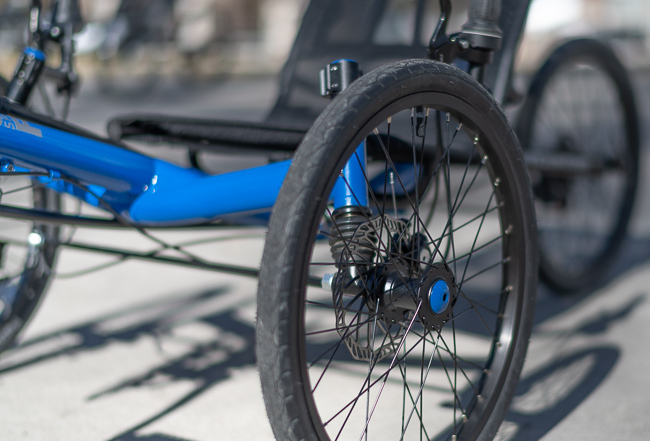 The CXS Sport FS is a very adjustable trike, after all, it's yours and it should fit you perfectly. 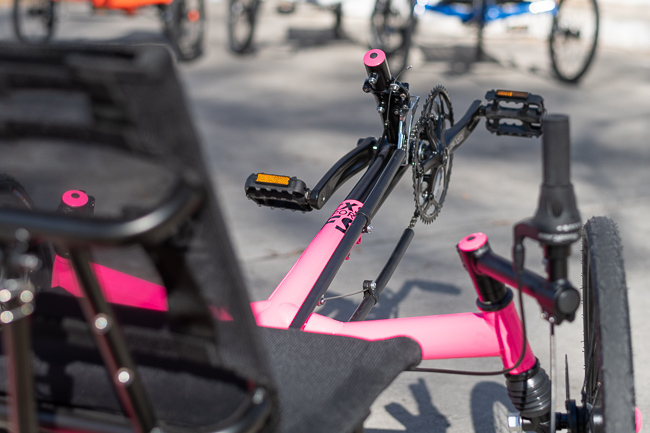 Not only are the seat and boom adjustable, but so are the handlebars. 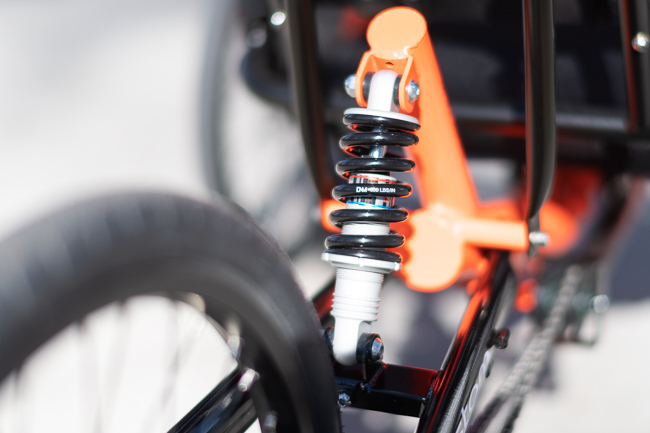 Speaking of adjustability, even the rear shock can be "dialed in" for your comfort. 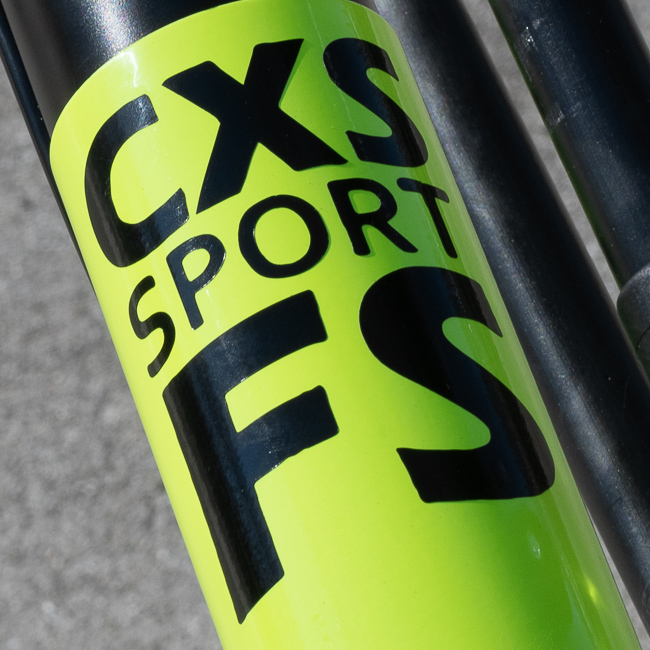 The CXS Sport FS comes with plenty of gearing for the average rider, but we have lots of options in the configurator above. It's your trike, so you should get to choose your favorite color. We make it easy with lots of colors built up and ready to ship and even more colors to chose from if you can wait a bit. We do all our powder coating in house, so get the color you really want!